The app, Discors, presents news stories alongside columns and analysis, photos, and a timeline, all in one stream. Can it build an audience while remaining self-contained? Andrew, Liam. "FOLD wants to keep you from tumbling down link rabbit holes." Nieman Journalism Lab. Nieman Foundation for Journalism at Harvard, 2 Jul. 2014. Web. 24 Apr. 2019. Andrew, Liam. "FOLD wants to keep you from tumbling down link rabbit holes." Nieman Journalism Lab. Last modified July 2, 2014. 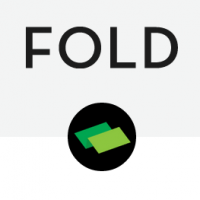 Accessed April 24, 2019. https://www.niemanlab.org/2014/07/fold-wants-to-keep-you-from-tumbling-down-link-rabbit-holes/.